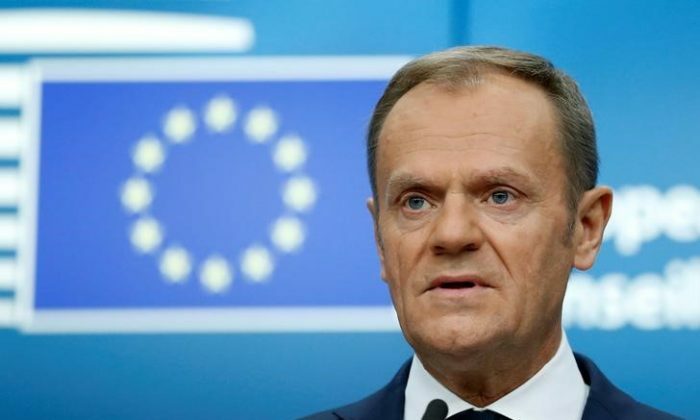 BRUSSELS—The European Union will make no new offer on Brexit and those who promoted Britain’s exit without any understanding of how to deliver it deserve a “special place in hell”, European Council President Donald Tusk said on Wednesday. The United Kingdom is on course to leave the EU on March 29 without a deal unless Prime Minister Theresa May can convince the bloc to reopen the divorce agreement she reached in November and then sell it to skeptical British lawmakers. But as Tusk’s pointedly blunt language showed, frustration runs deep among European leaders over the British parliament’s rejection of the divorce deal and May’s demands that the EU now give up on key principles or face disruption in just 50 days. As companies and governments across Europe step up preparations for a disorderly no-deal exit, diplomats and officials said Britain now faces three main options: a no-deal exit, a last-minute deal or a delay to Brexit. Rebuffing May’s bid to renegotiate just a day before she is due in Brussels, Tusk said he had abandoned the hope he has often expressed that Britain’s exit might be stopped and said his priority was now to avert a “fiasco” when it leaves. The remark by Tusk, who chairs summits of the EU’s national leaders, angered Brexit supporters in Britain. While Tusk was clear the EU would not reopen the divorce deal, he also said he still believed a common Brexit solution was possible. European Commission President Jean-Claude Juncker rammed home Tusk’s message, saying the legal withdrawal agreement would not be reopened, and May knew that. Varadkar said Britain’s political instability further proved the need for a “backstop” insurance policy – the main obstacle to a deal – to keep the border between EU member Ireland and British-ruled Northern Ireland open after Brexit. May will visit Dublin on Friday, Varadkar said. For May, failure to deliver a revised deal would shatter the fragile unity in her Conservative Party, leaving her already-diminished authority in tatters, and ramping up uncertainty in financial markets over the fate of the British economy, the world’s fifth largest. Rating agency Standard and Poor’s said a no-deal Brexit could result in negative revisions of their outlooks on Britain’s credit ratings, but that there remained a very strong incentive for both sides to reach a deal. In another stark indication of the stakes for Britain of a disorderly Brexit, Irish nationalists warned May that if she allowed a no-deal Brexit then there would have to be a referendum on Irish unity. “In the event of a crash… she must as a democrat return to the Good Friday Agreement and she must begin preparation for a referendum on Irish unity,” Sinn Fein leader Mary Lou McDonald said, referring to the peace accord signed in 1998 that ended three decades of sectarian violence in Northern Ireland. The United Kingdom’s decision to leave the EU has strained ties between its constituent parts: England and Wales voted to leave the EU in the 2016 referendum while Scotland and Northern Ireland voted to stay. 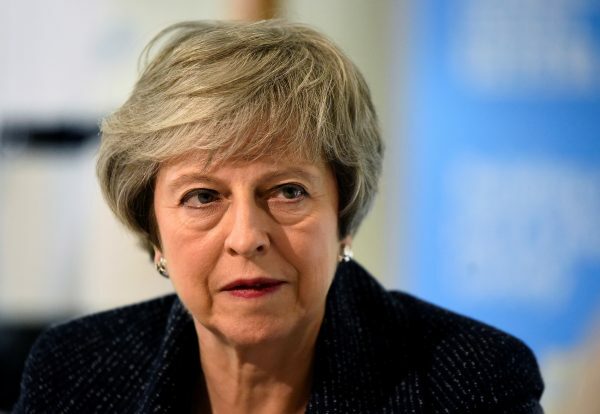 May has said she will seek an alternative arrangement which avoids the need for a hard border on the island of Ireland, or legally binding changes to the backstop to introduce a time limit or create an exit mechanism. Brexit has snagged on the 310-mile (500-km) frontier because there is disagreement on how to monitor trade without physical checks on the border, which was marked by military checkpoints before the Good Friday peace agreement. Under the divorce deal agreed in November, the ‘backstop’ would come into effect if the two sides failed to come up with a better idea to keep the border open. 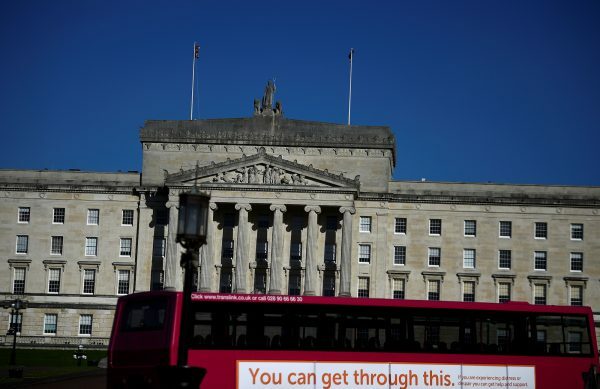 But the Northern Irish Democratic Unionist Party (DUP) which props up May’s government says it could endanger the province’s place in the United Kingdom, while Brexit supporters in May’s Conservative Party worry it locks the country into EU rules. At a meeting in Belfast on Thursday, DUP leader Arlene Foster told May the backstop needed to be replaced, but said their discussion had been useful. The Sun newspaper said British ministers were examining a plan drawn up by Japan’s Fujitsu to track trade across the border. The Telegraph said ministers had discussed delaying Brexit by eight weeks. EU officials are asking May to embrace a proposal by the opposition Labour Party to join a permanent customs union with the bloc. Such a move could remove the need for the backstop and, some in the EU believe, may win approval in Britain’s parliament. But officials have low expectations ahead of the prime minister’s visit to Brussels on Thursday.